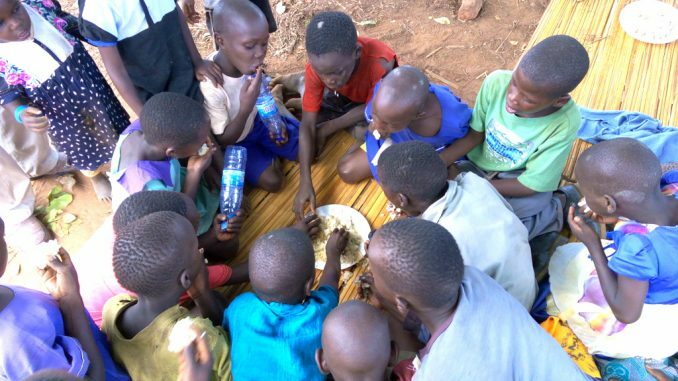 A huge number of children in Mpigi district spend their day at school on empty stomachs because of the failure by their parents to provide their children with the mid-day meal. Deogratius Ssenkyole, the Mpigi District Education Officer, notes that only about 30 percent of the 40,000 pupils in 140 public schools in the district get the mid-day meal at school. He says the Education Department has tried to sensitize parents through several engagements during the Parent Teachers’ Association meetings and announcements through community broadcasters but their efforts haven’t yielded results. Edward Muwonge, teacher at Mpigi Umea Primary school, says may children don’t eat lunch at school. Muwonge says they also asked parents to contribute food as suggested by government but many of them refused. 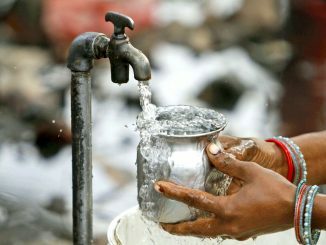 He says the few children who eat packed midday meals at times eat contaminated food due to poor packaging. Muwonge blames the poor adherence to the program on government, which decided to handle parents with kid gloves. Agatha Nakaweesi, a teacher, says the same sentiments, saying parents have a negative attitude towards providing for their children, which affects their performance as many escape from school to look for something to eat. 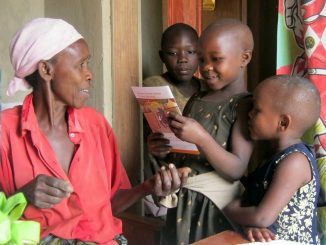 Ssenkyole concurs with Nakaweesi, saying that through inspections, they have found out that on average 20 percent of the children who attend morning lessons skip evening classes. Ssenkyole says Mpigi district is currently working on a by-law compelling parents to feed their school going children as already stipulated in Section 5(2) of the Education Act 2008. 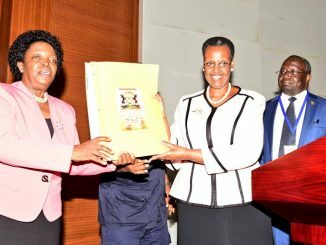 Early this year, the First Lady and Minister of Education, Janet Museveni, made a countrywide tour to popularize the school feeding campaign, saying it is entirely the parents’ responsibility to cater for their children’s needs like food. Last Year, the National Planning Authority report on Uganda’s Sustainable Development Goal II, showed that seven children in every 10 school-going learners do not get a meal while at school. During the launch of the Universal Primary Education (UPE) programme in 1997, parents were expected to feed their children leaving the other tasks to government. However, many parents failed to provide lunch to their children, which left the pupils to starve at school until they return home. There were several efforts by school authorities to encourage parents provide meals to their children. Some even suggested that parents would contribute a simple fee. However, in 2008, President Yoweri Museveni directed Resident District Commissioners to arrest head teachers charging parents extra fees, saying they were defying the spirit of UPE. As a result, many head teachers shied away from collecting any fees from parents.